I’d would like to thank Billy and The Alaska Adventure Project for an amazing trip to Ketchikan. I feel absolutely blessed to have been chosen for the trip. This was truly a life-changing experience you guys afforded me and an opportunity to come together with my fellow brothers-in-arms. Allowing me to once again feel that missing bond. From the moment we pulled into the Currall family driveway, I felt like I was home. The Currall family welcoming and opening their home to us was truly touching, heartwarming experience knowing that there are people who do care is a great feeling, their hospitality is second to none and their hearts are larger than life. This trip not only afforded me great life experiences, but the opportunity to create new, bonding relationships with fellow veterans that understand the struggles. My fellow brothers Jesse P, Jason J, Blake, and Kelly are amazing. No matter which era or branch we came from, we immediately connect and communicate like we’ve known each other. My wife and I will always remember this and will forever have the Alaska Adventure Project in our hearts and prayers. That is why we want to do everything we can do to give back to AAP. In closing I wish to relay to you a warm and heartfelt “thank you”. I am sincerely grateful and appreciative for the Alaska Adventure Project for Wounded Veterans! Not only do they provide the experience of a lifetime with their Alaskan retreat but they also do an incredible job tuning into the needs of the veterans associated with the program. I know this from personal experience. When a member of AAP found me I was in between finding a career path, doing some soul searching, and like many veterans I was in dire need of a reconnection with my brothers. Not only was I afforded the opportunity to be a recipient on the 2018 retreat but I was also given a chance to work on an Alaskan salmon fishing boat! I am in my second season of commercial fishing and can say without a doubt that I'm exactly where I want to be in life. I cannot thank the members of AAP and the veterans enough for the unparalleled support they give each and every day. It is truly an honor to be a part of this foundation. I would like to thank the Alaska Adventure Project and the people of Ketchikan for the hospitality that they showed while being apart of this adventure. The whole experience was a life changing event for me. I was able to connect with like minded veterans who have became friends that I will cherish for ever. The best part about this adventure for me was the bond made between the veterans who share some of the same disabilities as myself. The whole week was filled with new things that took me out of my own way. It was a trip of a life time. Once again I would like to thank the sponsors and the individuals who made this possible. Veterans Helping Veterans heal and improve their lives. "My experience in Alaska was one that I will always remember because of the impact it had at a time it was much needed. My kind of therapy after the war has always been being outdoors and enjoying the solitude of what natures beauty has to offer. In the past couple years, due to personal and financial issues, I really have not been able to enjoy the outdoors until this recent trip AAP provided for me. Going to Alaska to fish has always been a dream of mine and being able to take a charter boat out with a knowledgeable guide made the experience that much better. We were all able to reel in some monster fish and to share those moments with fellow veterans kept my mind at ease during the process. Every night we ended the day by starting a nice bon fire using the drift wood nearby and just sat by the fire talking about the day on the water or past and present hardships. That really clicked because we all have so much in common. Being able to take the float plane tour of the Misty Fjords national park really showed the beauty Alaska has to offer. One of my favorite things to do was the zip line tour that combined both fear and beauty all in one day. When it was all said and done everyone was laughing and smiling which is something that recently had been lacking in my personal life. In the end, this Alaskan trip really helped motivate me to come home and seek the things that help me move along day by day. It made me get my priorities in order and being able to experience with a great group of guys that will be my brothers moving forward…also gave me a network to reach out to when I am feeling lost or need that motivation to keep grinding because that is what we are here for. I hope to be able to take a trip out to Alaska every year to recharge and remind myself that is what life is all about…this is why we are here. Thank you again to AAP and everyone that worked hard to make this happen I know for me it will be a trip I will always be grateful for." "It made me again appreciate and experience the enjoyment of life. It just gave me time to breath and take everything in. Alaska is beauty, so it’s amazing." 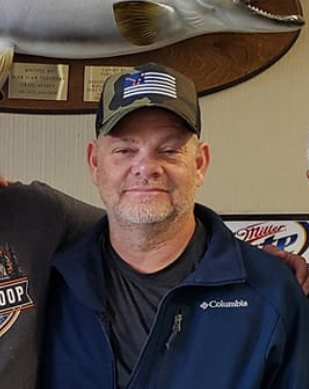 "I really enjoyed and appreciate the time spent with other Combat Veterans, relating and understanding to our very similar post service struggles and not in some V.A. clinic but surrounded by the panoramic views of Alaska, Her mountains, islands, wildlife and sunsets like no other. This experience was best seen from the float plane tour and hiking. Along with amazing fishing trips, hooking halibut, salmon and lingcod. It was an unforgettable sight to watch Whales breach the waters, see Bald Eagles flying and seeing Black Bears feeding on salmon at the river. To see it in person helps to really put it in perspective. how little you are compared to the vast outdoors. You can talk to a therapist all you want. This program has done more for me than anyone." "The Wounded Veterans Alaska Adventure Project is a great organization dedicated to helping veterans! The adventure to Ketchikan, Alaska last summer was a very quality evolution for everyone involved. It provided a climate of brotherhood in a warrior like environment for the veterans and entire group to experience the outdoors, and most importantly...spend time and learn from each other." As the founder of WVAAP I take much pride in the success of our first adventure to Ketchikan. I have nothing but gratitude for all of the support that we received locally from the time we touched down. Having that time with my brothers was exactly what i hoped it would be and more. What an amazing way to cut loose and keep the morale high. The fish were in abundance, the weather was permissive of all activities and the result was nothing short of spectacular. I was grinning from ear to ear for weeks after. This is why I do what I do. I truly believe that our veterans today deserve at least a taste of the good life so they can live and thrive as they did on active duty. This is my mission. As a Marine Corp Wife i know first hand the struggles that come from living with a combat veteran. The impact on ones life and the lives of a family can be saturated from the affects of Post traumatic stress. Healing of the mind body and soul are an essential part of bringing home your loved one from battle. I truly believe in what we are doing and the impact that Alaska can have on ones life. I have my husband back and want nothing more than to share that gift with our community of wounded families.